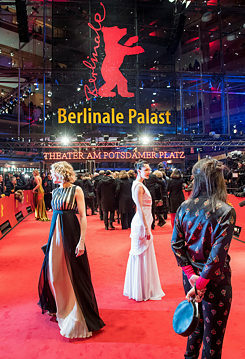 After Cannes and Venice, the Berlinale is indisputably one of the leading international film festivals. In the merry month of May, Cannes sparkles with glamour, movie stars and great works of cinematic art. And the sun usually shines. Venice, the oldest film festival in the world, basks in the relaxed romantic afterglow of late summer. And the Berlinale? Well, weather-wise, the German capital doesn’t have much to offer in frosty February, most years not even snow. Instead of springtime champagne under palm trees, we’ve got the midwinter shivers on the red carpet, and German beer under outdoor mushroom heaters. The panoply of movie stars and the glamour effect are comparatively modest in Berlin. And yet with over 330,000 tickets sold last year and half a million moviegoers all told, the Berlinale happens to be the world’s biggest film festival. And the audience love it. How come? A poll taken last year came to the following conclusion: 90% of those surveyed appreciate the good ambiance and out-of-the-ordinary films as well as things that “aren’t offered elsewhere”. On the other hand, they don’t seem to miss things that are hardly to be had at the Berlinale: a mere 1% said they go to the festival to see celebrities. Lucky thing there’s the other 99%! The shivers factor: Who’s willing to freeze on the red carpet? In front of the Berlinale Palast | Photo (detail): © Alexander Janetzko, Berlinale 2017 Scoffers say relatively few stars show up for the Berlinale because it’s so beastly cold. That is not entirely true. Yes, some Hollywood stars do indeed skip the red carpet parade in front of the Berlinale Palast. But you want to know who will be strutting their stuff down the “Berlinale red RAL 30011500”-coloured rug in 2018? Well, Tilda Swinton, Robert Pattinson, Isabelle Huppert, Franz Rogowski, Marie Bäumer, plus Willem Dafoe, this year’s winner of the Honorary Golden Bear, and a bunch of others will defy frost or a sprinkling of cold rain to file past their flocks of fans. By the way: the Berlinale was originally held in June. It was moved to winter in 1978 to get out from under the springtime shadow of Cannes. The shivers has been a hallowed Berlinale tradition ever since. The feminine factor: Gender equality! If Anna Brüggemann has her way, however, freezing in scanty attire could soon become a thing of the past. On #nobodysdoll the German actress exhorts fellow celebs to waive the customary dress code for the Berlinale défilé: “If you’ve ever experienced first-hand the difference between a night out in a jacket and sneakers or in a skimpy little dress and high heels knows what I’m talking about.” The Berlinale affirms that the fight against sexism and against the iniquities brought to light by the #MeToo movement has long since reached the festival. In the selection process, they were particularly sensitive about sexist scenes, though the issue is “discrimination in general”. As for the gender breakdown: according to this year’s statistics, a third of all the submissions are by women filmmakers. Then again, women filmmakers made only four of the 24 films in competition. And in the 67 Berlinales to date, five Bears have been awarded to women directors, most recently to the Hungarian Ildikó Enyedi for On Body and Soul in 2017. Some say the Berlinale’s decidedly political bent stems from a complex about its image, that it’s a desperate offensive to make up for what it lacks: no beach, no sunshine, no stars – well then, we’ll go political. The truth is the Berlinale was politicized from the get-go. Started up in 1951 amid the rubble of postwar Berlin as a “window on the free world” and a “cultural bulwark against Bolshevism”, it was marked by the Cold War for decades. It was not until the Wall down that the cultural confrontation ended. Though to this day the desire to make a difference, to shake things up and set things in motion, still flickers behind the festival’s ever-swelling marketing machinery. 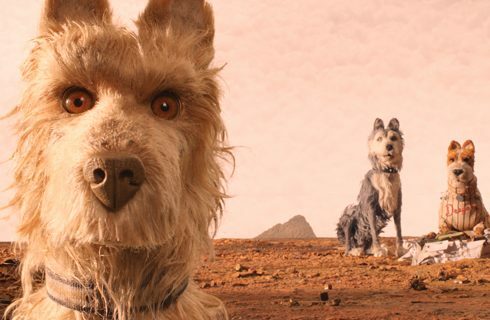 "Isle of Dogs" Веса Андресона (Wes Anderson) | Фото (фрагмент): © Twentieth Century Fox That’s why this year’s edition is about nationalism and mainstream society’s swing to the right, about people showing the courage of their convictions, coming to terms with the past, shaping the present and forging a utopian future. For the first time ever, an animated film will be opening the event: Isle of Dogs by Wes Anderson. Perhaps, as festival director Dieter Kosslick writes in his welcoming address, that’s because a dog sums it up so well there: “Who are we? And who do we want to be?" “3 Days in Quiberon“ by Emily Atef | Photo (detail): © Rohfilm Factory / Prokino / Peter Hartwig Each section of the Berlinale has its treasures, but the main competition is the main attraction. 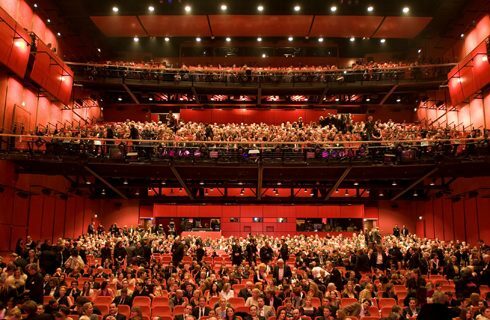 19 out of the 24 films from 24 different countries screening in Berlin are vying for the Golden Bear. And four of these 19 entries are German productions. If any of them were to take home a Golden Bear, that would be the eighth win for Germany in 67 years. The US is top dog with 13 Golden Bears to date. The main prize has been shared several times in the history of the festival: five Golden Bears were awarded in 1951, three in 1987, two on several occasions and none in 1970: that was when Michael Verhoeven’s harrowing Vietnam film o.k. elicited such wild reactions that then-festival director Alfred Bauer put an early stop to the competition. The Dieter factor: All ancient history now? 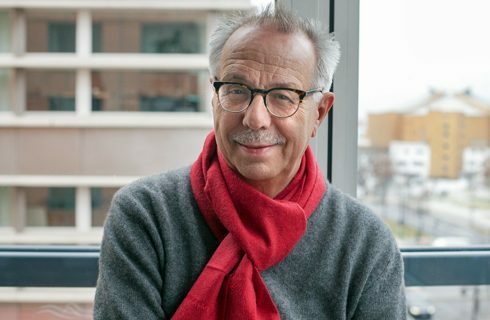 Festival director Dieter Kosslick | Photo (detail): Ulrich Weichert / Berlinale 2017 There has already been quite a stir in the run-up to this year’s festival. It feels like forever – it’s actually been since 2001 – that Dieter Kosslick has presided over the Berlin bear circus as a genial, good-humoured papa. His era will be over in May 2019. So 79 German filmmakers in late 2017 called for the change of leadership to be used for a curatorial and organizational restart. This petition gave rise to a nasty debate in which Kosslick was virtually pronounced incapable of serving as festival director. Three months later, shortly before the launch of this 68th Berlinale, Kosslick downplayed the whole incident: “That’s all ancient history now.” And yet Mr Good Cheer was unusually reserved: “I’ve cut down on the humour. The wet blankets didn’t like it.” Apparently the fight over the throne hasn’t wholly failed to leave its mark on him.